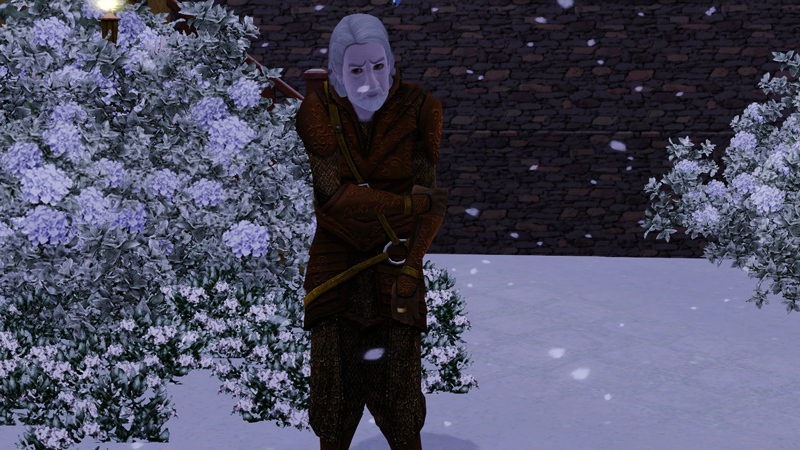 Although winter came for everyone the same in Castle Keep, it hit sims of he lower classes more harshly than those who had comfort in titles and riches. For the poor, the homeless and the sick, a harsh winter could mean the end of their days. It seemed that spring could not come soon enough this sim year. For the Fisher family, who at least had a sturdy roof over their heads, it meant economizing with everything. 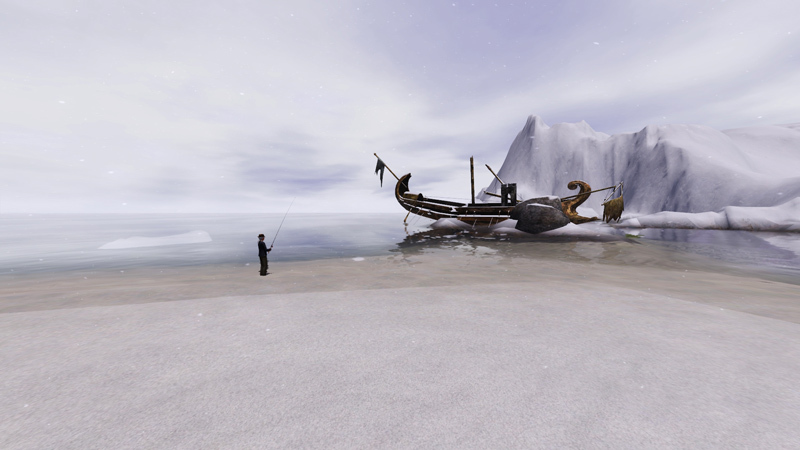 They had very little food left in their storage from the harvest and the summer’s fishing. 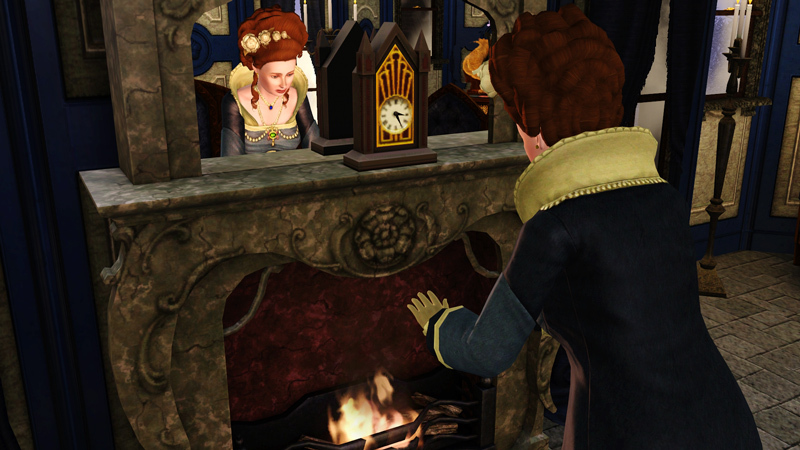 Simoleons were few too, although William, Anne and Faye all worked, the taxes they had to pay to their lords were so high that little was left for themselves. 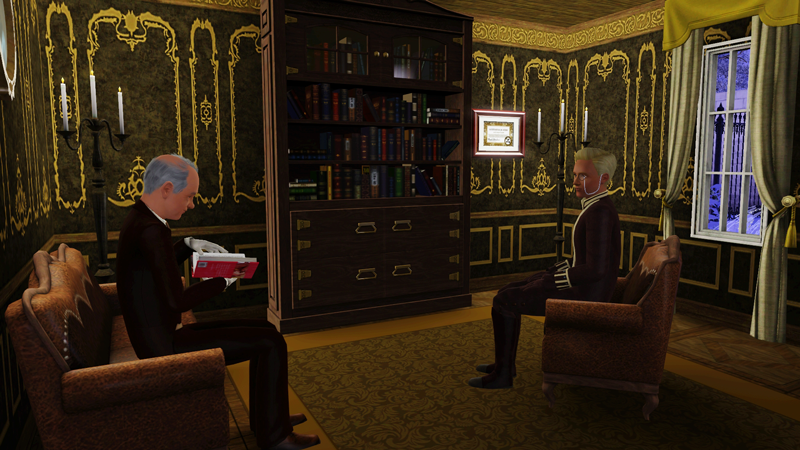 The town provided few services to the sims too, specially those of the lower classes, it seemed all the taxes went right into the lords pockets. To travel to Anne’s home lands was a dream fading away for each day, they would probably never have enough savings. The family focused on the little moments of joy in life. They had each other, and a fairly comfortable home. 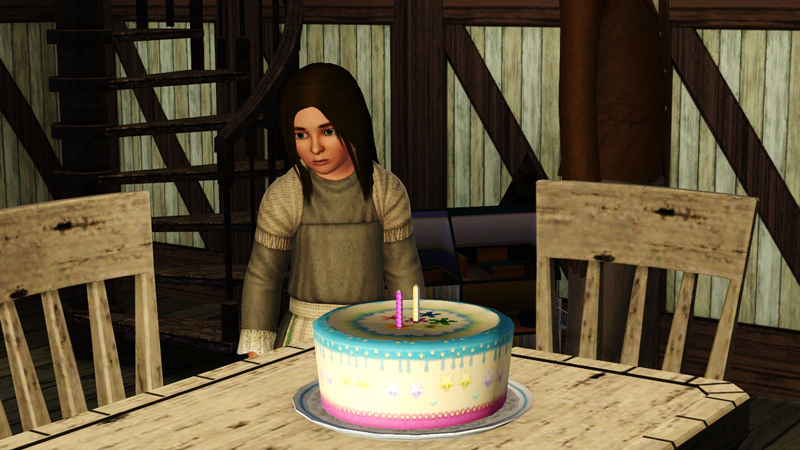 For Byram’s birthday, Faye baked a lovely cake that the family enjoyed together. 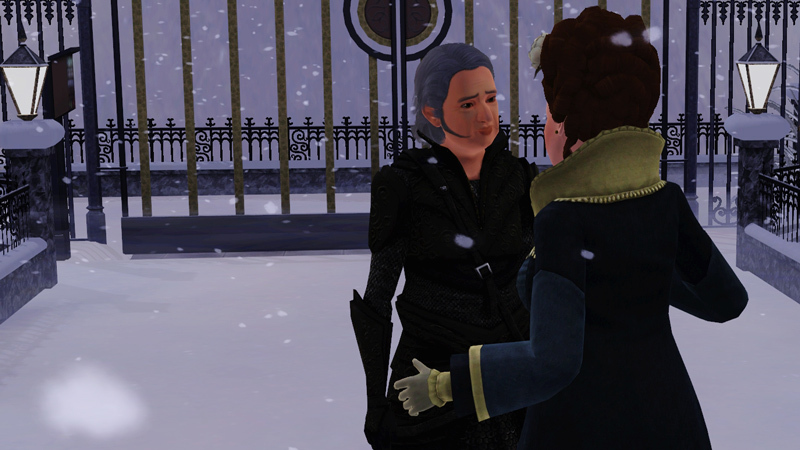 He gained the trait of commitment issues, which was all than favorable for a sim from Castle Keep, where life was all about finding a good match to marry and having children. The future of the boy was suddenly very uncertain. 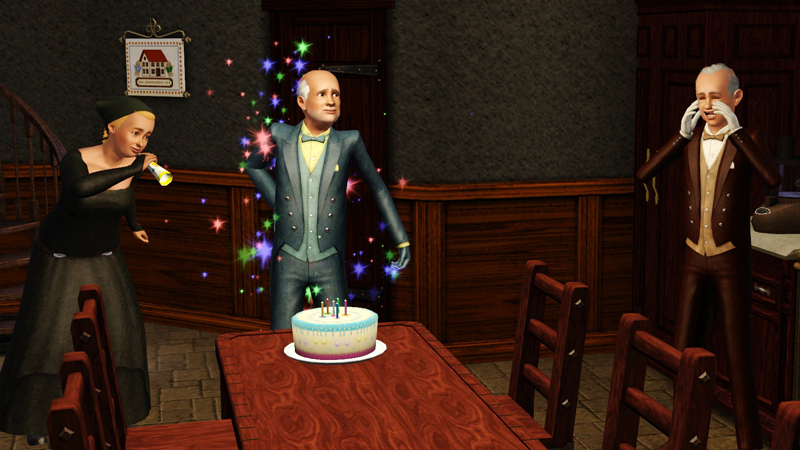 There were several birthdays that took place at the Fisher household. Anne became an adult and William grew into an elder. He was all but happy about the matter of becoming elder. He had yet so much he wanted to do in life, and suddenly it was all coming to an end. William would spend much of his free time by the sea, fishing. It relaxed his mind and now that he was an elder, he realized he did not have a lot of time to achieve his life time wish of presenting a perfect private aquarium. Thus far, he had only made 3 perfect catches, maybe he would ask his children to help him. 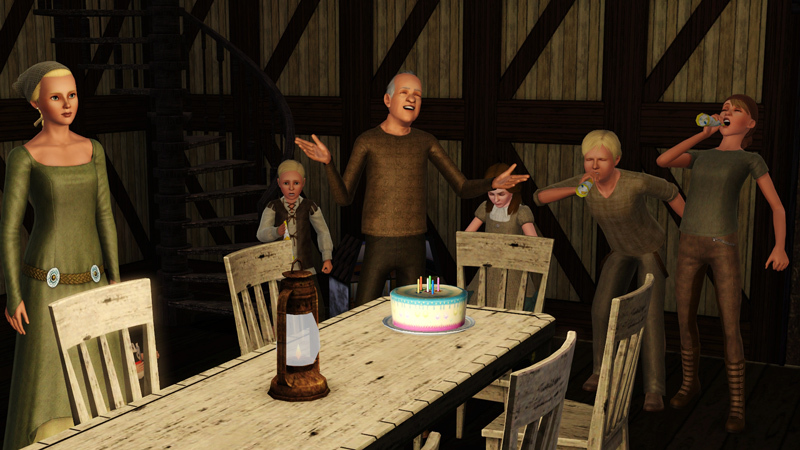 As usual in the large le Peasant household there were always birthdays to celebrate. 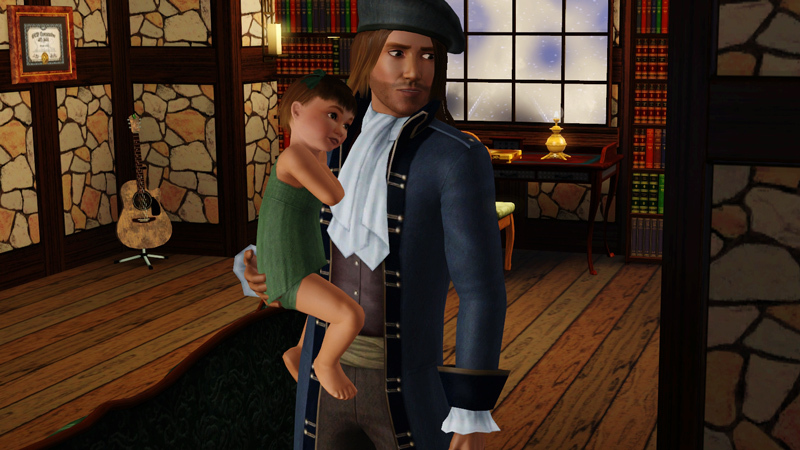 Little Sedgewick had grown into a child and gotten the absent-minded trait. The most notable celebration was that of Mark le Peasant, he became an elder and celebrated surrounded by all of his six children and his wife. 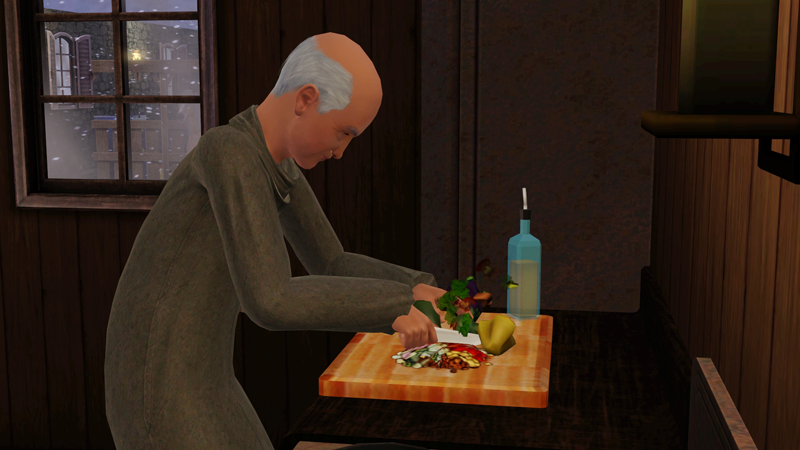 He had surely been a busy sim, and soon he would have achieved his life time wish of being surrounded by family. The teenagers in the family enjoyed the winters coming, even though it meant cold nights that made them unable to sleep well. Desirae, Caldwell and Burleigh would always find some time between chores and work, to play in the snow or do something fun together. Since Desirae became a teenager she had been taking a greater responsibility in the house. Even though she was no natural cook, she prepared the meals for the family and her low skill was a constant problem for them all. Not only would she cook meals of horrifying quality, she put them all in danger when she put the stove on fire. Fortunately, nobody was injured, but everybody was hoping for her skills to go up quickly soon. Edie was her parents favourite, her artistic skill had become a well needed income for the family. 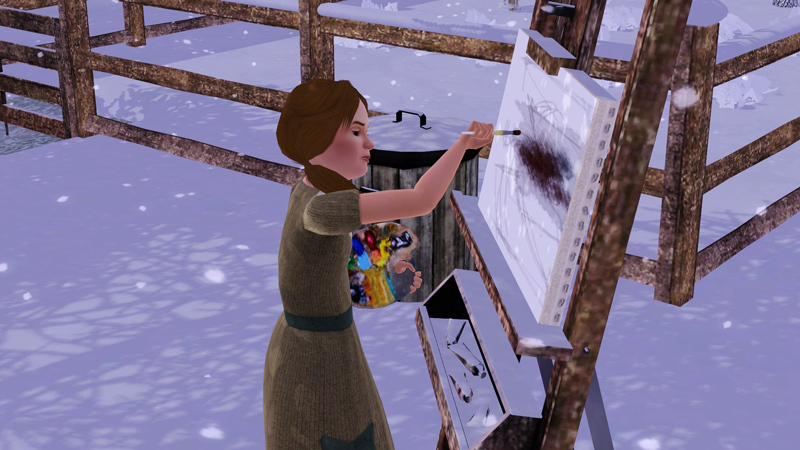 She was very devoted, and would stay out by her easel for hours, even in the pouring snow. In secrecy, Mary le Peasant wished for a brighter future for her daughter, maybe it would be possible for her to climb the social latter in Castle Keep. In spite of all, she was of royal blood. The youngest daughter, Loreena, grew into a child, she gained the neat trait and her parents instantly thought that it would do her well. She could become a servant at one of the noble houses of Castle Keep, or even at the Royal Castle. She just needed some training and a good recommendation, Mary decided to start to look for a place for the child to learn to tend a household. Elmer Wall was called to see Queen Eleanor I in a most urgent matter, she informed him that she suspected a criminal activity at the Abbeyhill Artifact Collection. Since it was a Royal matter, he decided to put all his time and effort to solve this case. Not only was Elmer very close to achieve his life time wish of solving 35 cases, he was also a renown private eye with a reputation to live up to. The Abbeyhill Artifact Collection was the royal family’s own collection, and it contained some of the most precious artifacts in Castle Keep. 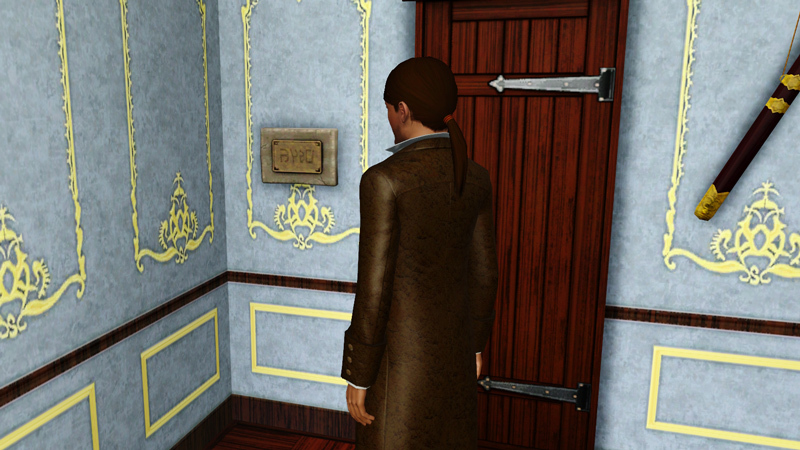 Elmer discovered a secret door in one of the back rooms, by the door was an odd inscription in a language that Elmer himself did not know, it was not simlish for sure. The door lead to a set of stairs that led to a cellar, where there seemed to be traces of sims. Someone had been drinking nectar, and there were food residues. After interviewing a few of the members of the staff with his special interview technique, Elmer could quickly decipher that the room had been a spot for the employees to relax and take a glass or two of nectar. His latest case had kept Elmer away from home for long hours the past week, but when his case was closed it was time for both him and Lecie to grow into adults. At Lecie’s request they held a big party where they ate well and played music until late. It wasn’t a ball at the Royal Castle, or at a noble house, but it was sure a great party. The latest success in Elmer’s career had given the Wall family a very good financial situation. The simoleons were flowing in, and they had now afford to decorate their house beautifully and buy the latest fashion for themselves. 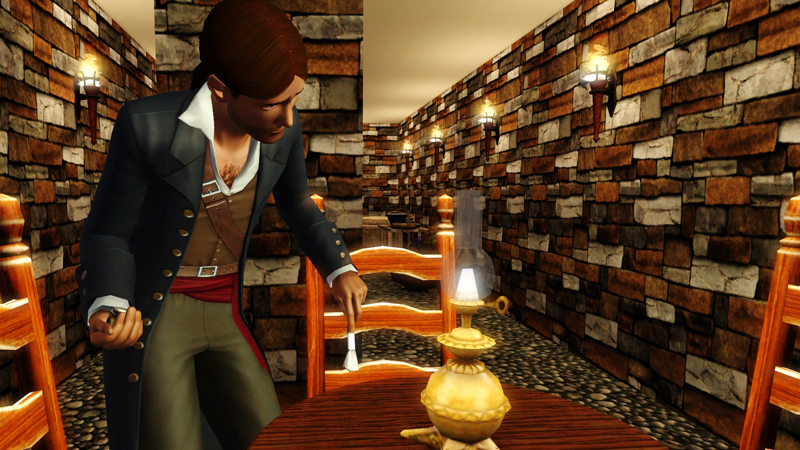 They still had no titles which meant no noble privileges, but simoleons could take you quite a long way in Castle Keep, maybe even to the top. Norma was the name given to the Potter’s first daughter, she had gained the traits of clumsy and genius and her parents were sure that in spite of her clumsiness, she would do well in life with a genius trait. Winifred Potter was utterly in love with her daughter, she had never felt like this with her other children, she was sure it had something to do with the baby being genius, it was a quality that Winifred could admire. Osmond was working hard on his novel and would sit in his study any moment he had over from his day-job. He was working on a fictional novel that he hoped would be a best-seller and set him on his way to a career as a writer. Winifred aged into an adult, and while she was not accustomed to care about her appearance and make a big fuzz of her naturally good looks, she suddenly felt that her best years were over. 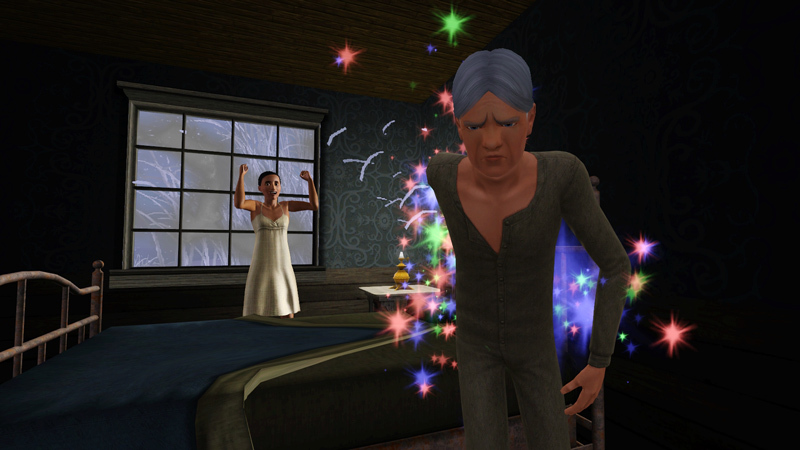 When she saw herself in the mirror, she felt that time had passed too quickly, she was not ready to become an old sim, not yet. As a grumpy sim, it was usual for her to always take any change to the worse and while Osmond tried to encourage her, he was sure that it would be over like any of her other mood-swings. Osmond’s fiction novel was far from a best-seller and, while he was very disappointed, he was not giving up hope on his writing career just yet. He was required to write several reviews and stories for the paper he worked at, and it was up to him to come up with a good story. He decided to write a piece on his friend Elmer Wall, who was a reputable private detective, maybe this story would be well received by the public. He interviewed him and followed him on his investigations to get very close to the subject. His hard work and effort payed as his piece was a success, suddenly even his boss knew who he was. Norma grew into a toddler, but the family did not have any exuberant celebrations, Winifred had suddenly decided that they had to save all their money to be able to send Norma to boarding school. As a genius sim, it would be a waste not to educate her well, and the fees were quite high for sending a second child to school, specially a daughter. In their seclusion at the Dark Castle, far away from the prying eyes of noble society and left on their own by the children who were at boarding school, Lord Harald Vaughan and Thea de Servant had found an intimate connection between themselves. Thea, who had never dreamed of marrying at all, was taken aback by their infatuation, but did not dare to hope that her affections were reciprocated. Lord Harald, who had given up hope on happiness and love, could no longer deny his feelings. 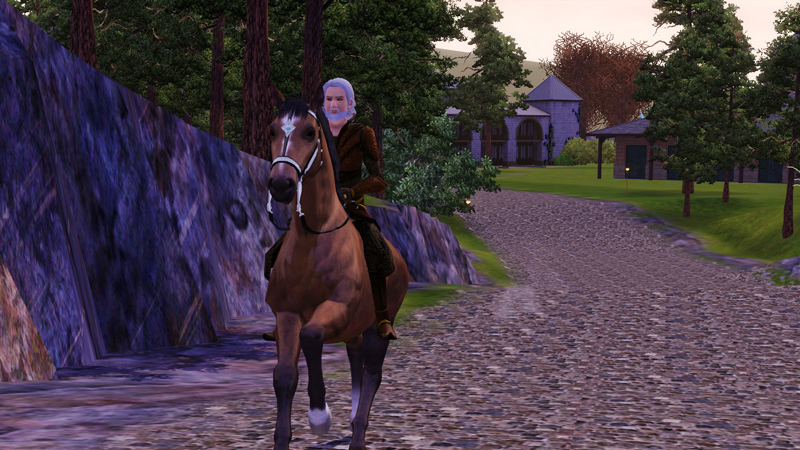 He realized he was at a passing, if he chose to take Thea, as a respectable sim would, and not as a mistress, he would surely be condemned by society. He respected her too much to make her only his mistress, but he realized the consequences for their actions would be grave. One evening, their passion took the best of them. Lord Harald entered the maid’s chamber to lend her a book he had recommended her. He forgot to knock and Thea was in a state of undress when he opened the door. In that moment, seeing her in her simple night gown, and without her maid’s robe, he was overwhelmed by passion. They embraced each other and kissed for long, letting go of all their social restraints. When they managed to compose themselves, Lord Harald left her chamber and went to retire for the night in his own bed, but their embrace kept them both awake, unable to sleep and longing for each other. As a token of his affection, Lord Harald had gifted Thea de Servant a couple of new gowns. They were simple, but the cloth which they were made of was beautiful, and he asked her to no longer wear her servants apron. With his advice, she also stopped using her headscarf and set her hair up in a simple but pretty knot on her head. When she looked at herself in the mirror she could not help to be impressed by her own transformation, she was an easily-impressed sim, but still, she barely recognized herself. Thea did very few household chores these days, she was in charge of the cooking, which she enjoyed very much, but the rest was done by the butler and a maid. Neither of them cared of what was happening between Lord Vaughan and Thea, the butler was an old man with bad hearing who used to retire early in the evening, and the maid did not live in the castle and left after she was finished with her chores. Apart from reading together in the library, eating Thea’s savory meals and strolling in the park, Lord Harald took Thea out riding. She was not a very skilled rider, since she had seldom had the chance to practice, but she was learning fast. Lord Harald had long stopped going to the cemetery to visit his late wife, the world could collapse for all that he cared, since he had once more found happiness. While both Thea and Lord Harald often spoke about the possibility of getting married and how the laws and rules of Castle Keep would give them the possibility to do so, there was a great passion between them that they could barely keep at bay. One day, Lord Harald spoke to Thea and told her that he did no longer care about social conventions, he would make sure that they would get married. 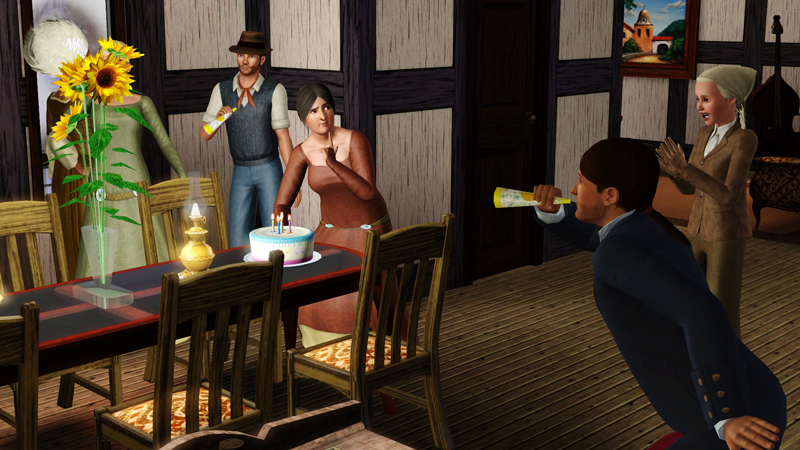 They decided to wait until Heathcliff returned as a young adult sim from boarding school, they wanted his approval, at least. That night, Thea decided that she could no longer wait and sneaked up to Lord Harald’s chamber after the whole household was asleep. They cuddled together and when the sun’s first rays of light came through the window, she sneaked back to her room. While Lady Arabella d’Angerville was failing in making a friend of Queen Eleanor I, somehow she had managed to get close to King Edmund I. The two had danced at several balls together and shared interesting political and social discussions. It turned out that they shared a common interest in the gossip of town, specially of society. Realizing this, Lady Arabella no longer tried as hard to please the Queen as she had done before, having the Kings ear was a much better deal for her. The romance was not at all dead between Lord Francis and Lady Arabella, on the contrary, as of late they had revived their dusty old marriage and managed to reach a new level of companionship. It did help that the children were all away at boarding school and that neither of the two could stand the boredom it left them in. Their renewed love for each other made them feel young again, and Lady Arabella was hoping she could still have children, she was not that old yet. There were many duties a Lord of Castle Keep had to tend to, one of Lord Francis favorites was to visit the different tenants that rented in his lands. It wasn’t so much that he enjoyed inspecting his facilities, rather, it was that he enjoyed talking to the wives of the neighborhood. This way he would find out all the juicy gossip in town before anybody else, and they were all waiting with a cake or some other pastry that they had baked to impress him. Thomas was not the one to fraternize with the other servants of the household, as the head of staff he had to keep a professional and unsentimental distance to the others. However, in later days, he realized that he was very lonely. Was he never to marry and have children, was this what his life was destined to? Of course, he enjoyed the company of his siblings, but maybe it was so that he wanted a family of his own. When he first came to the White Castle to serve the d’Angerville family, he did not intend to stay for so long, but he had grown attached to the family and used to the routine, and time passed so effortlessly that he barely noticed he got old. 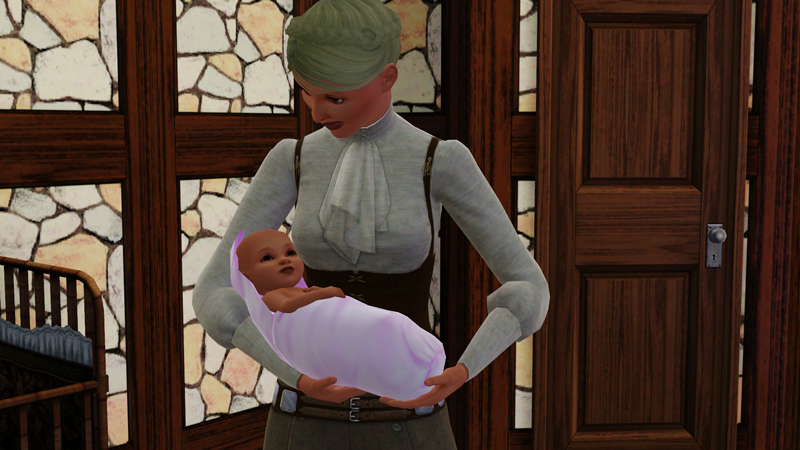 Lady Arabella d’Angerville was with child, and what a joy it brought to the d’Angervilles. To hear the small steps and contagious laugh of a toddler again, the couple could not wait. When the King fell ill, Peter the Monk was called for late at night, he packed his things and left instructions with Helena, since he did not know how long he would be gone. Queen Eleanor I welcomed him to the Royal Castle with open arms, as old friends they were used to confide in each other, and the Queen felt his presence made her much calmer. Peter the Diligent stayed with the Royal Family and gave them spiritual guidance during this hard time. Castle Keep would struggle at the lost of their King, it could bring unrest and fear, the crown prince was still too young, and away at boarding school at the moment. Helena managed very well without Peter, this was her first time on her own and it made her grow as a person. Peter had been very protective of her growing up and she was seldom let out from the monastery on her own. Now that Peter was away, she took the opportunity to ride to the market on her own, and she realized that she was capable of doing a lot of things on her own, things she thought she was not capable of doing. Peter surely meant well, but his overprotection had made her believe that she was not capable of managing on her own, her newfound freedom gave her the courage and confidence to try new things in life. When the King recuperated it was time for Peter the monk to return to the Aspen Woods Monastery, his time with the Royal Family had made him realize how lucky he was to live a healthy and quiet life as a monk. At the Royal Castle there was an overwhelming excess of food, nectar and delicacies that the members of the Royal Family and the Royal Court consumed at any hour. Peters own outlook in life was quite different, as a vegetarian he had a great respect for animals and in general he disliked wasting anything, specially food. It was not so that Helena wasn’t capable of communicating with others, she had learned that she could go to the market and buy groceries on her own. With the help of sings and pointing at things the grocers understood her. She could have written things on a piece of paper, but the problem was that not a lot of people of Castle Keep were literate. 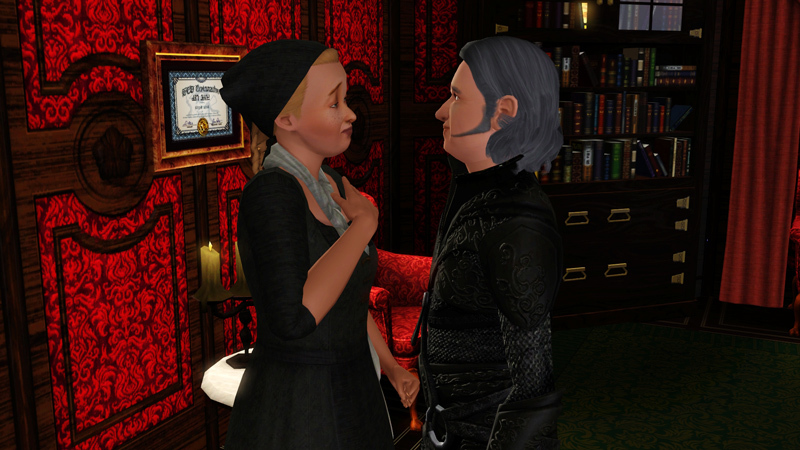 Her best friend, Faye Fisher, who was from a peasant family, could not read and write, so the two friends had developed a set of signs that they used to communicate with each other, they had developed and improved their sign-language so well, that the two could have long and meaningful conversations in the same speed as sims that could talk. Helena wished that Faye would learn to read, she knew however, that Faye’s only opportunity to learn to read and write would be if she joined the monastery. But for Faye, a life of celibacy and devotion to the Watcher was not what she had in mind. Winter could be a cruel season in Castle Keep, the northern winds could be icy and it could snow for weeks at a time, but the Royal Castle was well equipped with the most modern of heating systems to be found. Queen Eleanor I held her yearly winter ball at the castle as usual, and everybody was impressed with how well equipped the castle was. However, this year the roads had been in such bad conditions due to the heavy snow, that not many had managed to make it to the ball. Despite the fact that the royal family was seldom affected by the harshness of winter, King Edmund I found himself in trouble one night while returning from the Chez Victoria VIP Lounge. He had been on his own, less he not trouble his stable boy to come with him, and he got so cold while getting ready to leave on his horse, that he got frozen to the ground. He felt his body temperature sink and he was sure it would be the end of him. Just in time, the owner of Chez Victoria, madame Victoria herself, came out and saw the king in this state, she called for help and he was released and brought to the Royal Castle in time. His little adventure had left him sick and in bed for several weeks. John de Servant was allowed to hold a small gathering with his siblings when he celebrated becoming an elder. 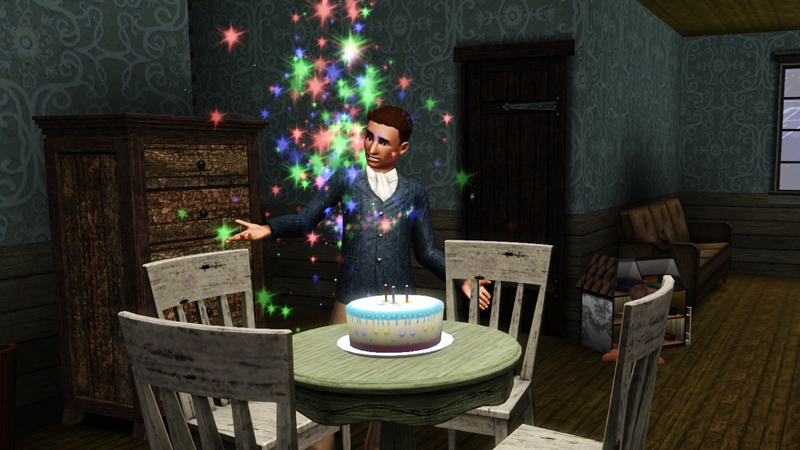 Thea had baked him a delicious cake and the three enjoyed it very much. They talked about old times, when they were young growing up and still living at their parents house. “Mother would have been proud of us three,” Thomas said, and they all fell in a sad silence remembering their caring mother, who had put the three on the path of service by getting them good positions in the best houses of Castle Keep. There were rumors going around town, they said that Lord Harald Vaughan was being too friendly with his servant Thea de Servant, that they were seen strolling in the garden and conversing in a very intimate way. It was not proper and worthy of a man of such stature. When Queen Eleanor I heard these rumors, she became concerned, her late friend, Lady Godiva Vaughan, would not have wanted the family name being stained in such way. The Queen had promised herself to look after the children and make sure nothing bad happened to them, and making sure that their family name did not fall in dishonor was sure part of her promise. She visited her old friend, Lord Harald, who had become a recluse and seldom left his Dark Castle, and tried to persuade him to not pursue such an intimate relationship with a simple maid. 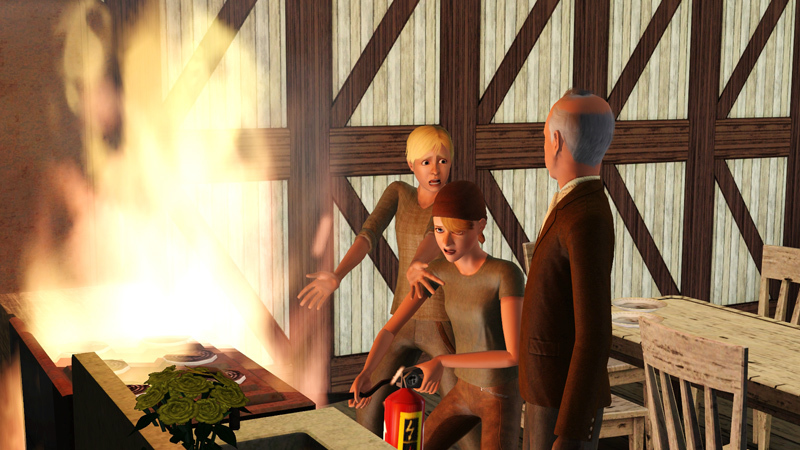 It was all in vain though, since the stubborn sim did not want to hear to reason and they parted unfriendly. As soon as the King was feeling better he resumed his duties at the Town Hall, the time he had spent recuperating from almost freezing to death had made him loose track of the royal affairs and he was concerned that things were badly run without him present. His sense of duty had surely grown with age, he felt he could not let his subjects down by leaving them without a leader to guide them. When his son returned from boarding school it would be time to retire, if he was ready.